Photo by Lisa Carolin. 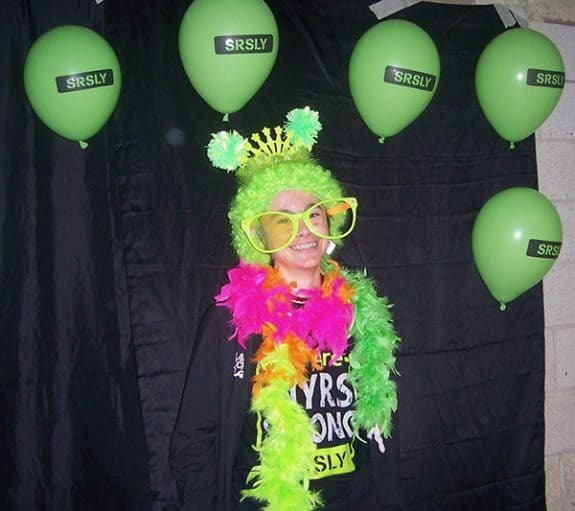 A scene from the SRSLY booth at Saturday’s Chelsea Spring Expo. A sunny spring day on Saturday, April 13, helped get visitors out to attend the 13th annual Chelsea Spring Expo. The event was presented by the Chelsea Senior Center and held at the Washington Street Education Center. More than 1,200 visitors attended and had the chance to learn about local resources as well as county services. Nonprofit groups like Faith in Action and Meals on Wheels were represented, there was a SRSLY KIdZone with games and arts and crafts, and the Howell Nature Center brought a variety of birds of prey. Photo by Lisa Carolin. 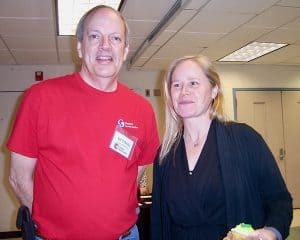 Bill O’Reilly, the newly hired executive director of the Chelsea Senior Center and Sheri Montoye, the newly hired executive director of Faith in Action at Saturday’s Chelsea Spring Expo. There were more than 130 vendors in all. Chelsea Seniors offered their bountiful bake sale, and the Mighty Cukes strolling ukulele musicians provided entertainment. Bill O’Reilly, who will be taking the helm from Chelsea Senior Center Executive Director Trinh Pifer in May, got a good taste of the Expo’s popularity. A variety of lunch items were for sale in the cafeteria with proceeds benefiting the Chelsea School District. Proceeds from the Expo go to the Chelsea Senior Center. Photo by Lisa Carolin. 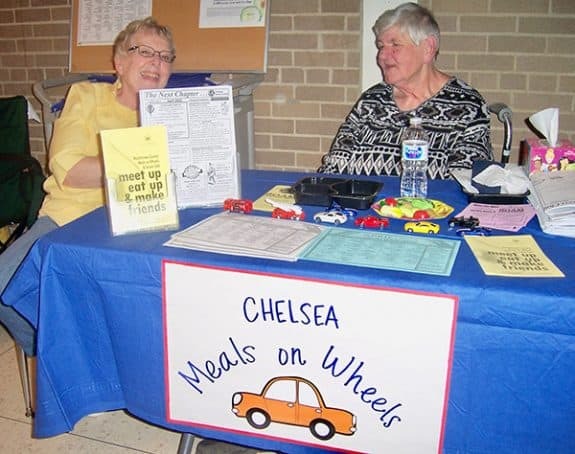 Meals on Wheel’s booth at the Chelsea Spring Expo.